Attention all Bond enthusiasts! Asian gadget seller Brando is now selling Disposable Lighter Spy Camera Camcorders at just $20 (£14) a pop. Hidden beneath this seemingly ordinary ciggie lighter is a pinhole camera and microphone which captures Motion JPEG video at 720 x 480, 30f/s in an AVI file. There's an additional still photo option, capturing images at 1280 x 1024. 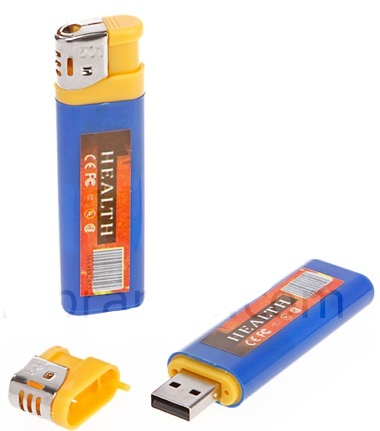 The top of the lighter detaches to reveal a USB plug to download your content to a computer, without the hassle of drivers or additional cables. 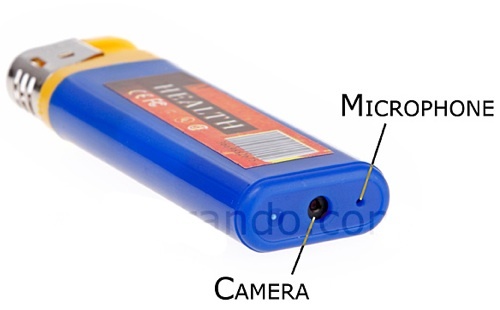 Video can be shot automatically when over 60dB of sound is detected, storing the content on a Micro SDHC memory card hidden alongside the USB connector. The battery is rechargeable, making this device not such a disposable lighter after all, yet one that will still light up rooms - so to speak - when passed round your social circle.